Craving some more insider knowledge? 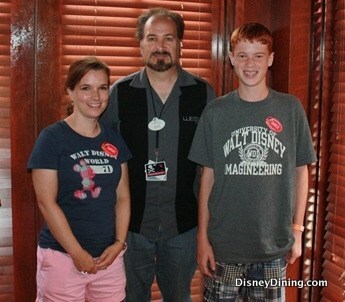 You’re actually able to book a dining reservation at Walt Disney World to have lunch with an Imagineer. If you’re looking to have some friendly conversation with the folks responsible for engineering all of the creative aspects of the Walt Disney World Resort, this experience is perfect for you. This experience can be booked online through the Walt Disney World website under dining reservations.